Mornings are BUSY in Kindergarten! As I have talked about in my other posts on morning work, I feel it is incredibly important to use worksheets and activities that my students can do on their own. I simply don’t have time to give quality instruction during the first 15 minutes of school while I amgetting 26 kids checked in, monitoring backpacks being unpacked, checking folders, doing lunch count and attendance all while greeting my kiddos, chatting with parents, etc. I prefer my students come in, follow our routine and get right to work. But I struggled to find seat work that was appropriate for my students as I don't want them to be doing busy work - yet I want them to be engaged and practicing the standards we are currently working on. The problem was - I could not find what I was looking for... anywhere! So I finally took the plunge and made it myself! And it has literally changed. my. mornings. I made a morning work bundle for the whole year that addresses specific standards we have just mastered or are working towards mastering each month. I target specific skills throughout the year that my students can be successful with. The skills generally only change a couple times throughout the month, so I do not have to explain activities every day. 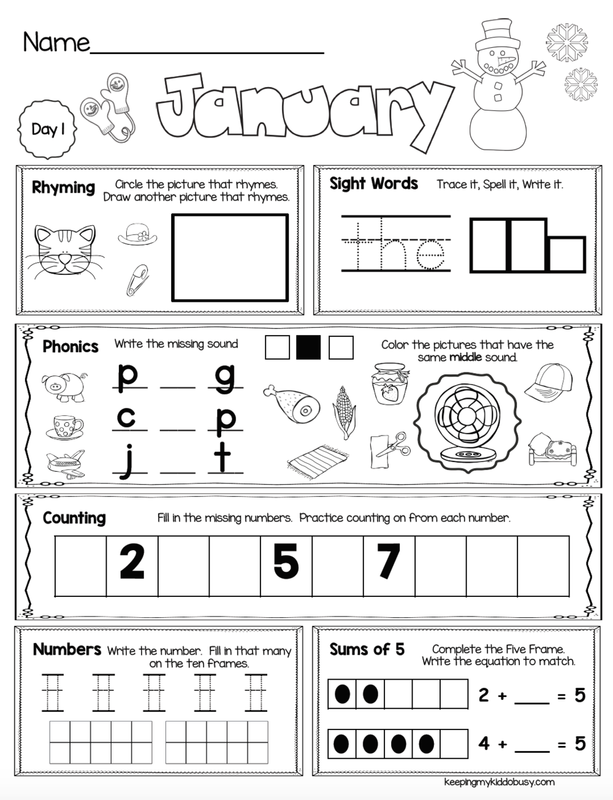 These worksheets progressively get harder throughout the year, and the skills change each month and my students master more skills. These packs even come with “I Can” task/standards cards you can hang on your board and change each month! We chant them whole group each morning, and soon enough my kids know them by heart! It is super cute.These packs have truly transformed my mornings!